Today is the day you move into your new home. 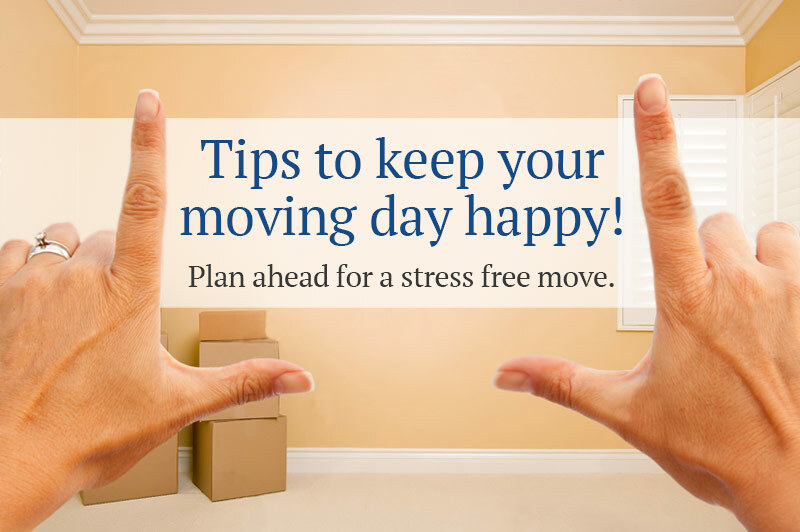 Follow the steps below to plan out a successful and stress free move into your new North Texas home! If applicable, check with your employer to find out what moving expenses they will pay. Familiarize yourself with any relevant relocation policy and any benefits provided. Set aside items that you would like to include in a garage sale, decide on the date and time, and write and schedule the advertisement for your garage sale. Set aside items that you are planning to donate to a charity. Contact the charity to schedule a pick up time and be sure to save the receipt for tax purposes. Create a general inventory of what you are planning to move and select a mover. Get cartons and packing materials so that you can begin packing some things as your time allows, unless you will have someone packing for you. Make arrangements with mover for payment of services, once you arrive at your destination. Contact your insurance agent and provide information necessary to transfer/cancel insurance coverage. Notify all magazines, credit card companies, newspaper, etc. of change of address. Arrange for delivery of the newspaper in your new location, if desired. Check freezer and plan to use any food over the next 2-3 weeks. Decide a plan for how to transport jewelry and other valuables. Rent a safe deposit box or find another safe and vault dealer to prevent loss before and even during the move. Transfer or close checking and savings accounts. Arrange for cashierâ€™s check or money order to pay moving company on arrival to new community. Have your automobile serviced for your trip. Pack a carton of sheets, towels, etc. so that you will not have to rummage through boxes for these items when you first arrive at your new home. Review the entire list to make certain that you havenâ€™t overlooked anything. Check and double-check everything you have done before it’s too late. Prepare a carton with essentials you will need immediately upon arrival at your new home (i.e. toilet paper, cleaning materials, tools, coffee and pot, soap, paper towels and plates, etc.) and mark the carton UNLOAD ME FIRST. Get phone numbers from the driver so that you can reach him while he is in route.